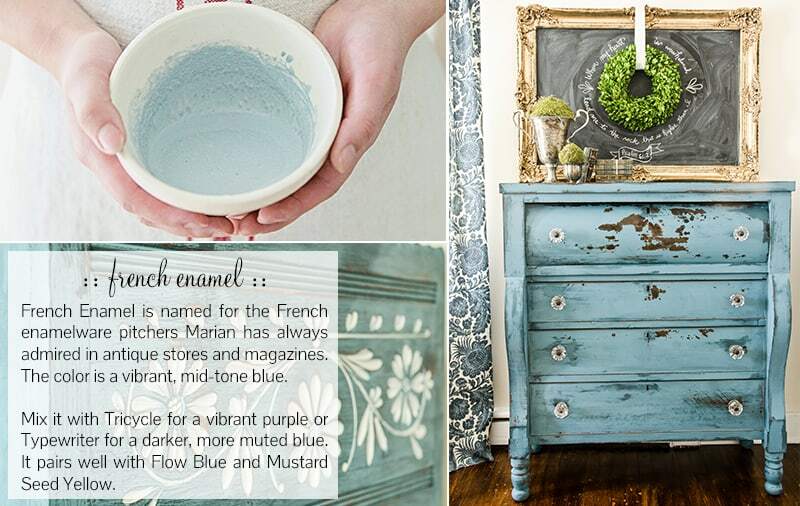 Every time I use one of the colors in the Miss Mustard Seed’s Milk Paint line, I smile as I think about its name. 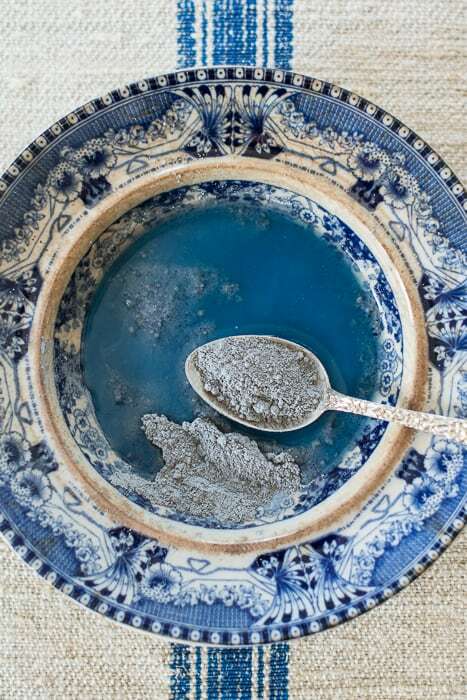 With each brush stroke, I watch as the grungy, worn, and faded surface of my project is given a fresh new look. 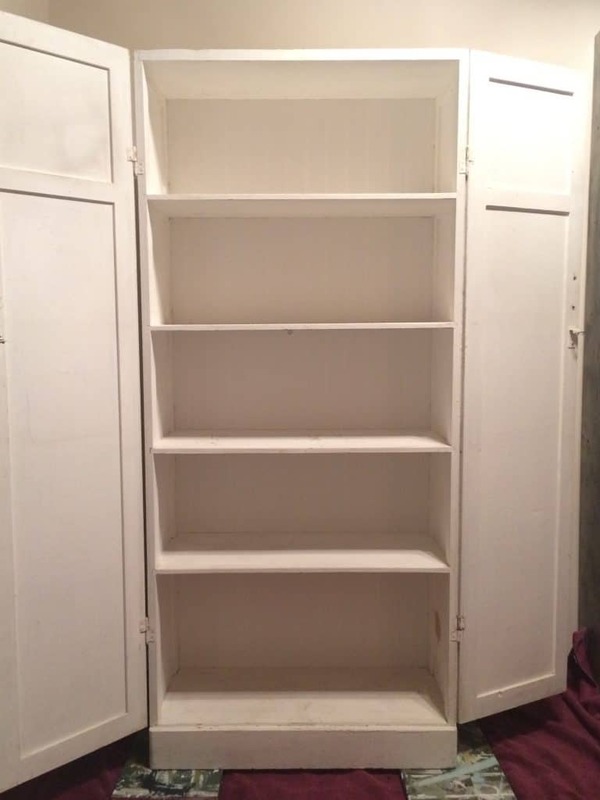 Right now, I’m working on a rather sad white cupboard with chipping paint, stains, a hole in the side, and a broken back. 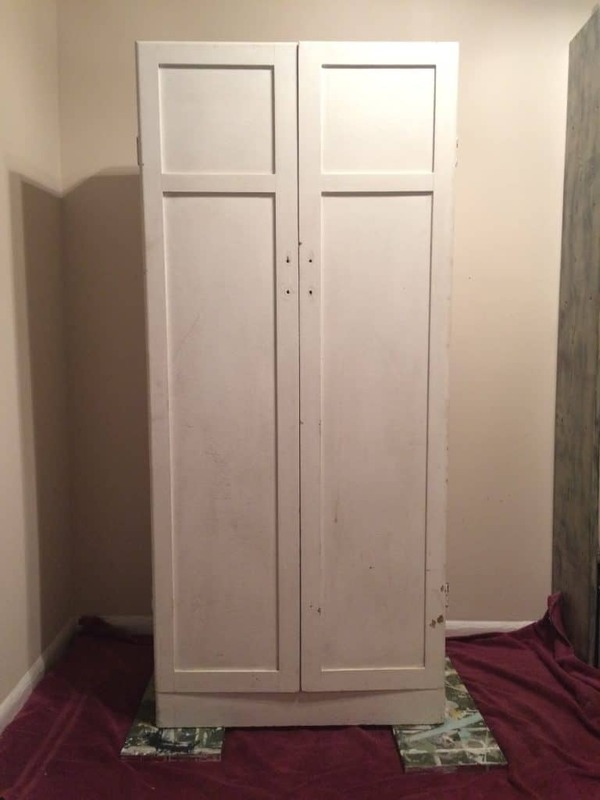 Last night, I replaced the broken back panel with a panel of faux beadboard from Home Depot (a trick I learned from Marian) and it immediately gave the piece a much-needed facelift! 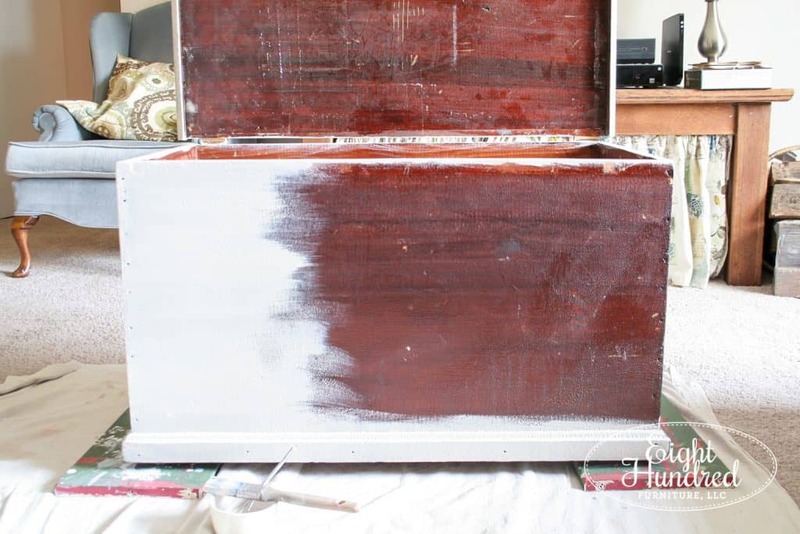 I decided to paint the outside in French Enamel and bright Farmhouse White on the inside. I began painting last night while echoes of the Flyers vs. Capitals game sounded in the background, and I found myself thinking about French enamel pitchers filled with daisies. Then, the thought occurred to me – why not do a blog series on the names of the MMS Milk Paint colors? It’s been done before on Marian’s website and the MMSMP blog, but not here! Thus, armed with a cup of coffee and blanket on this foggy morning, I give you the color stories of the MMS Milk Paints! There are 24 gorgeous colors at the moment, so I’m going to break them up across several posts. Since I’m currently painting with a blue, I figured we could start there! 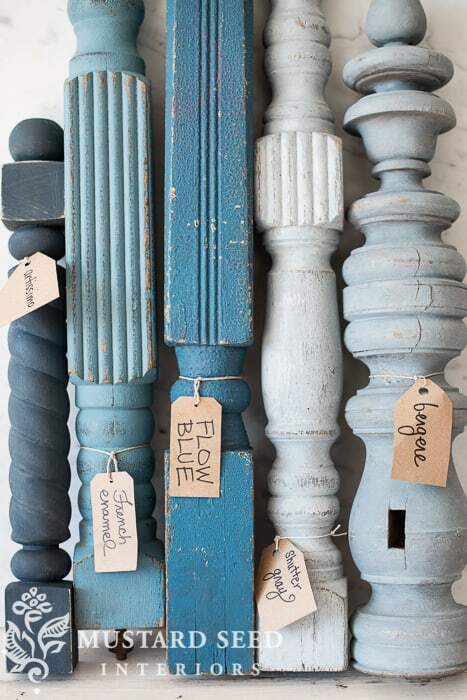 Here are all of the gorgeous blues in the line. Artissimo is the richest and darkest of the blues. It’s a deep navy that looks AMAZING when topped with Hemp Oil. I just delivered this Artissimo dresser toRooted in New London. It’s currently for sale if you’d like to purchase it. The shine on the dresser is due to the freshly applied Hemp Oil combined with early morning light. As this piece cures, the Hemp Oil will cure and the shine will disappear. 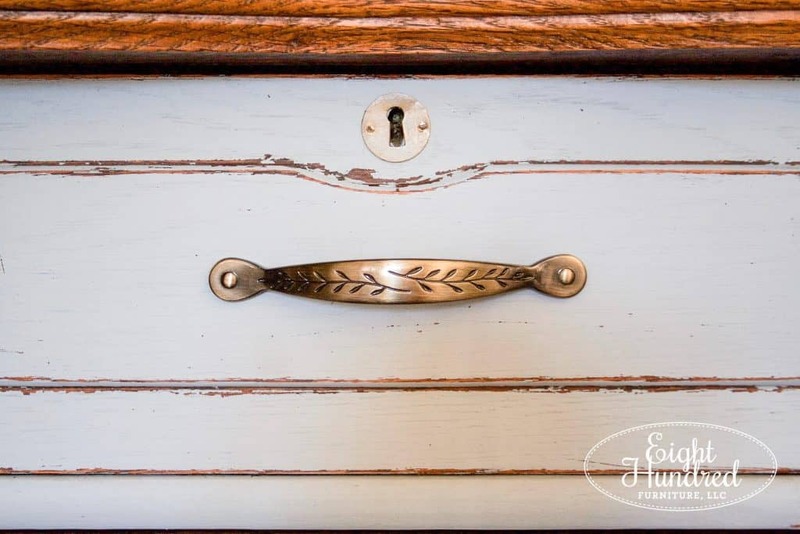 Doesn’t Artissimo look lovely when paired with gold or brass hardware? 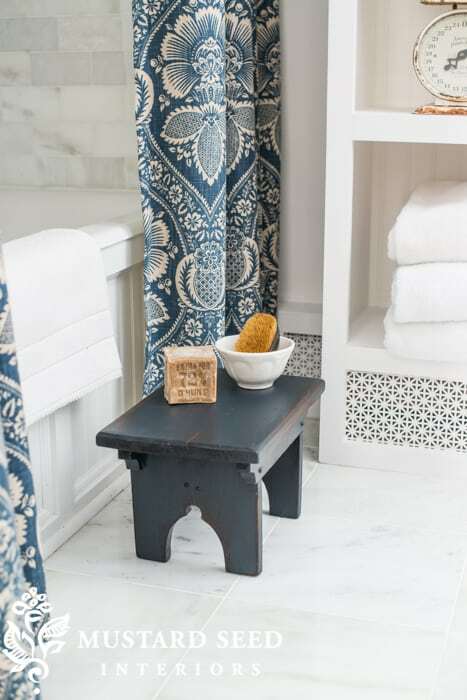 Artissimo got its name from a fabric pattern that Marian used for a shower curtain in her master bathroom. 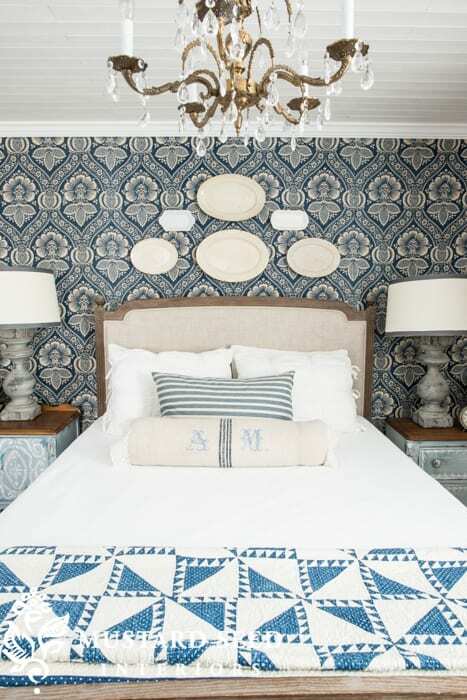 It’s also starched onto a wall of her master bedroom. 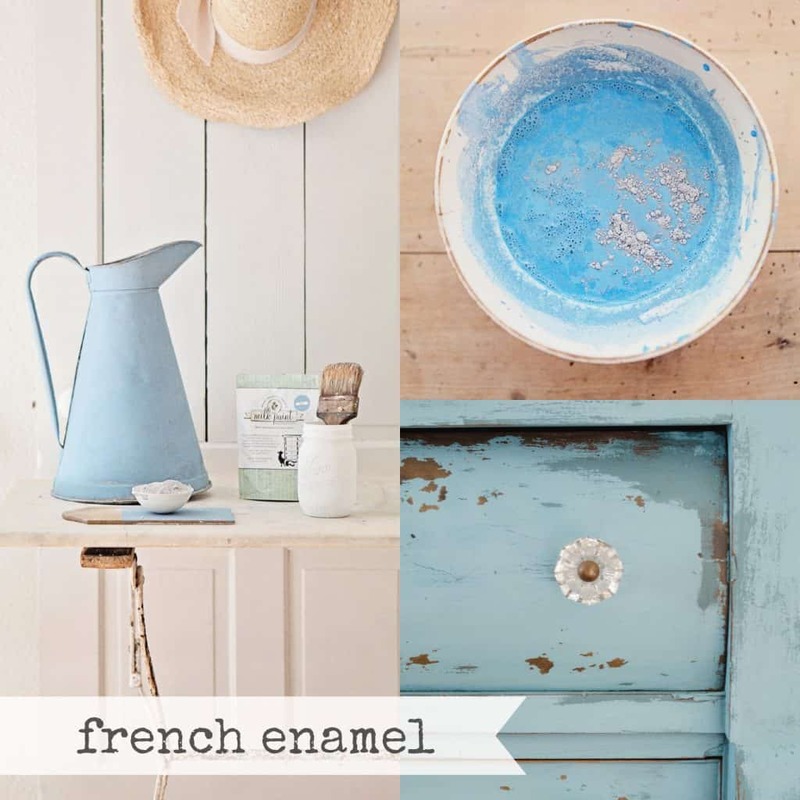 Next in line, we have French Enamel. 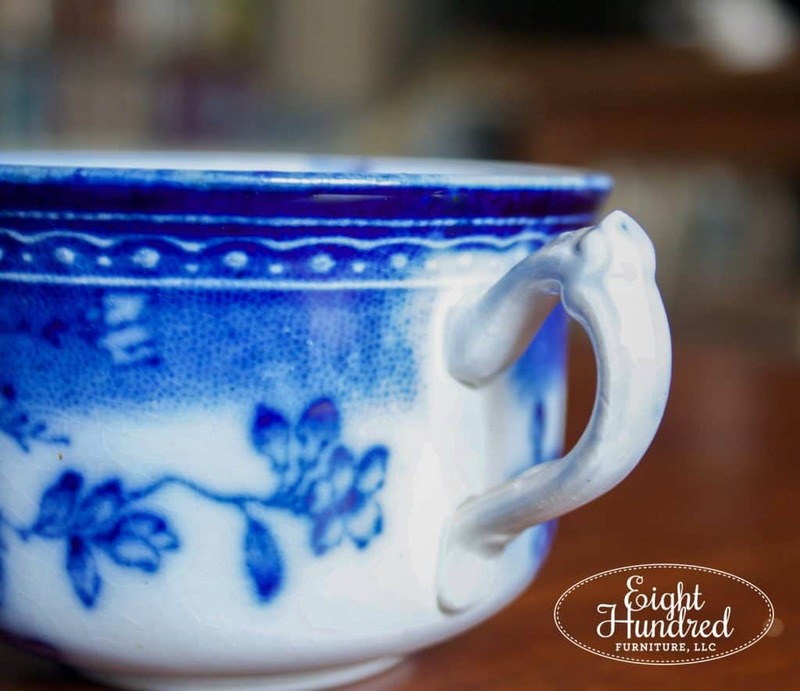 It is a soft and plucky blue named after the shade of blue found on…you guessed it…french enamel pitchers. 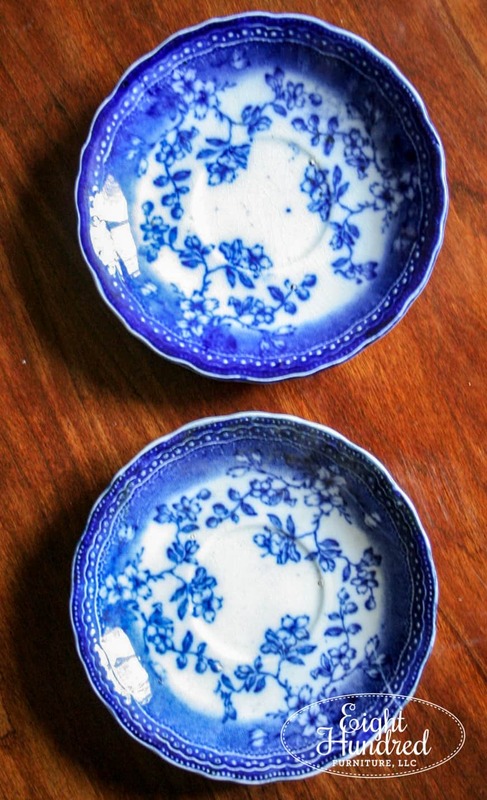 Marian has used French Enamel on quite a few gorgeous pieces, including this one. Flow Blue is our next color to visit. 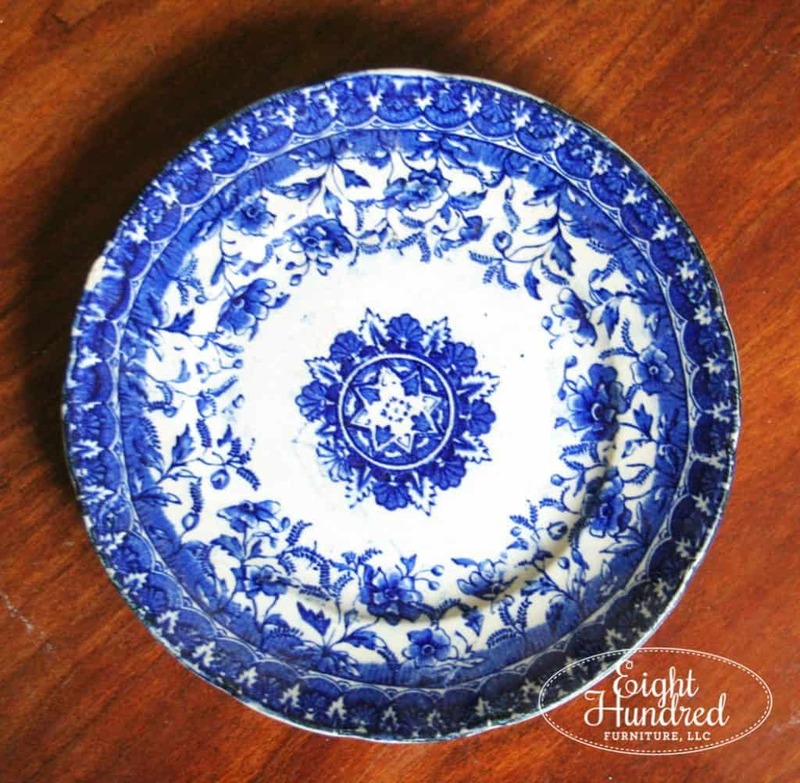 Named after the deep blue patterns on Flow Blue china, this color is striking and vibrant. 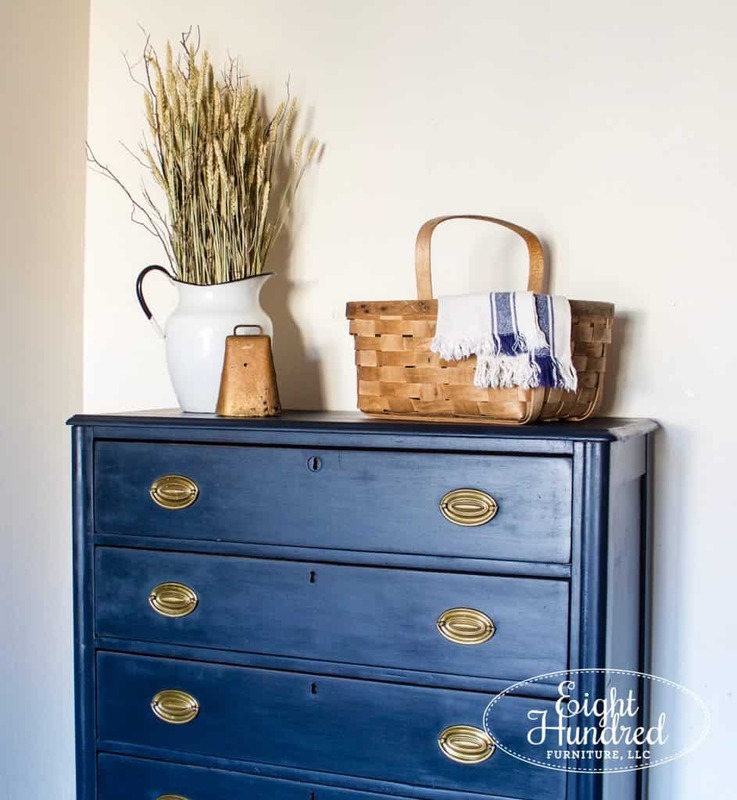 Now look at Flow Blue Milk Paint. Dead ringer, wouldn’t you say? 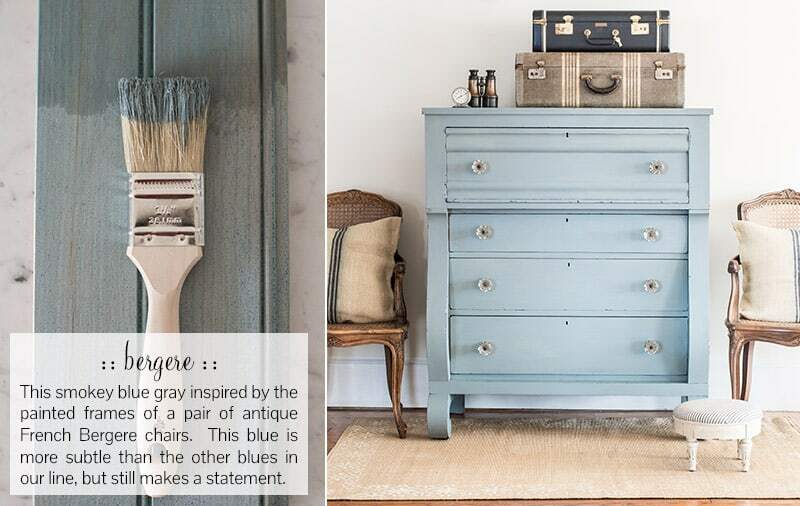 I used this color on a depression era dresser that I painted when I worked at Love Street Vintage. See how much deeper this shade is as compared to French Enamel? 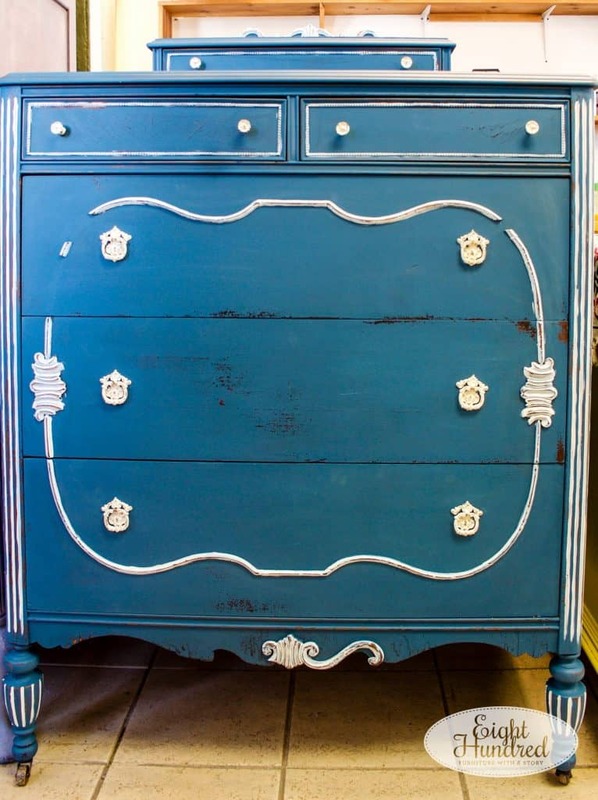 I recently did a dresser in this color and it sold within days of my delivery. 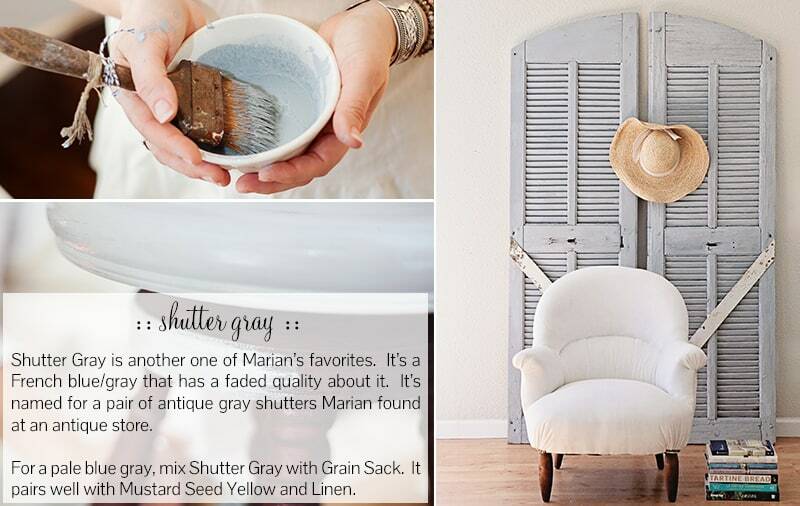 Shutter gray can lean more gray, blue, or even a bit purple depending on the light and decor around it. That’s why it’s such a fantastic color to use! 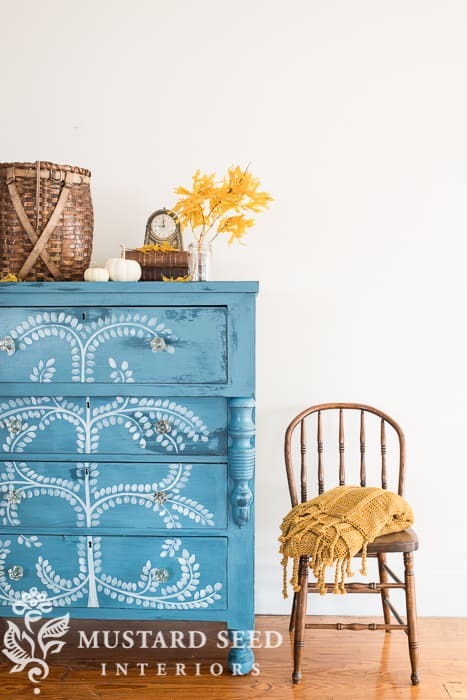 Bergere is a blue from the European line. 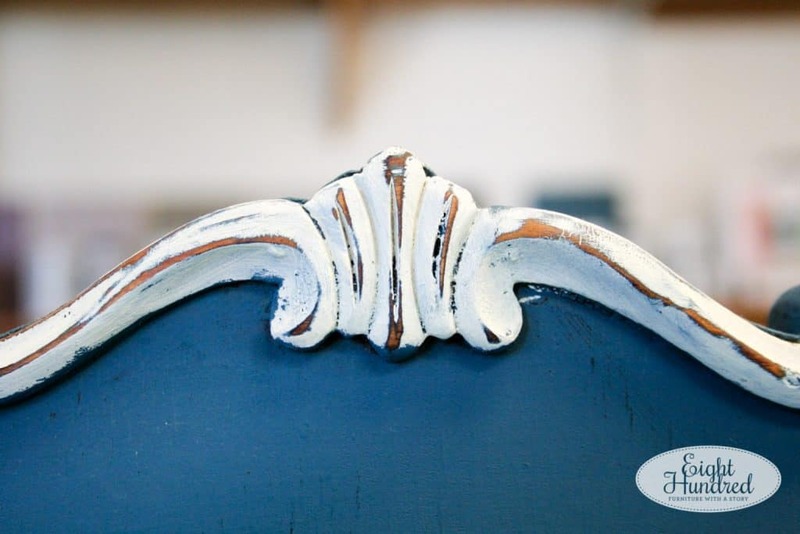 It’s name derives from the French style of Bergere chairs that Marian loves to restore and reupholster. You can see two of them in this collage. Bergere is soft and airy. 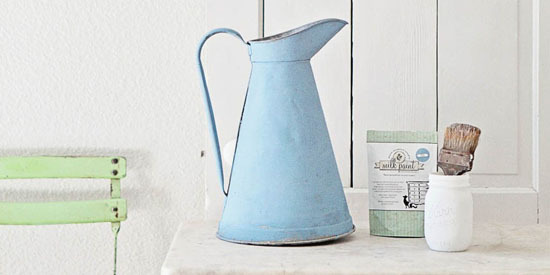 It’s the perfect blue to use if you want a hint of color but not a vibrant deep blue like Flow Blue. In French, it means “shepherdess”. 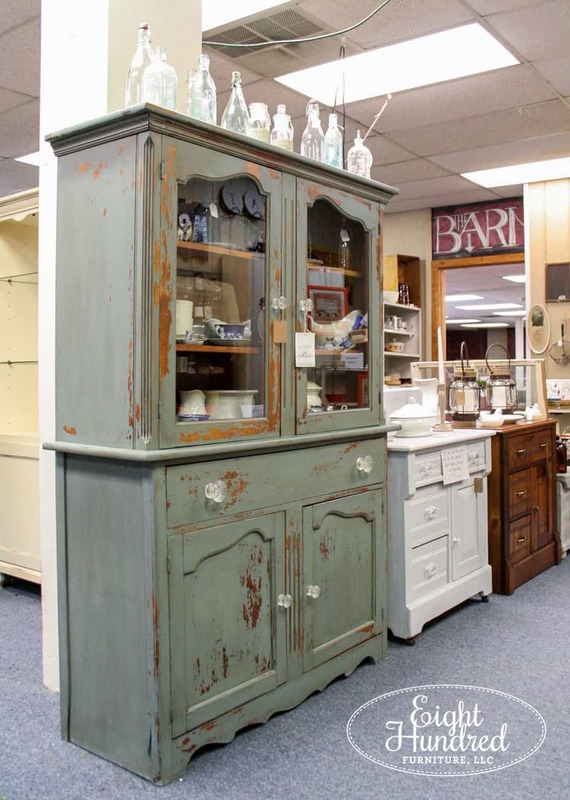 I painted a vintage china cabinet in this color and it chipped like a champ. I finished it with Hemp Oil and Antiquing Wax, and this just piece sold this week! I don’t have a direct head-on shot, but here it is from the side. Bergere looks much darker and deeper in this photo because of the finishes I used, the lighting, and the underlying wood. 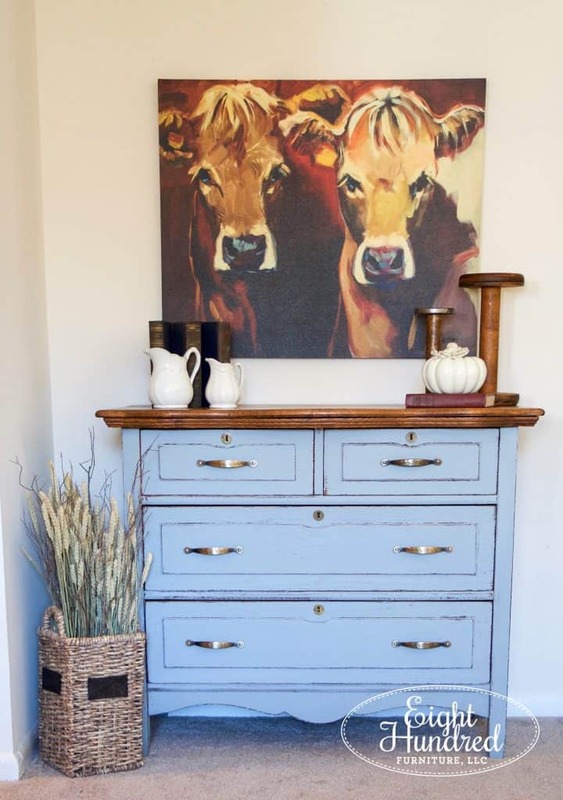 That’s one aspect of MMS Milk Paint that I adore. It responds and reacts with the piece you are working on, giving you a unique look that can’t be replicated! 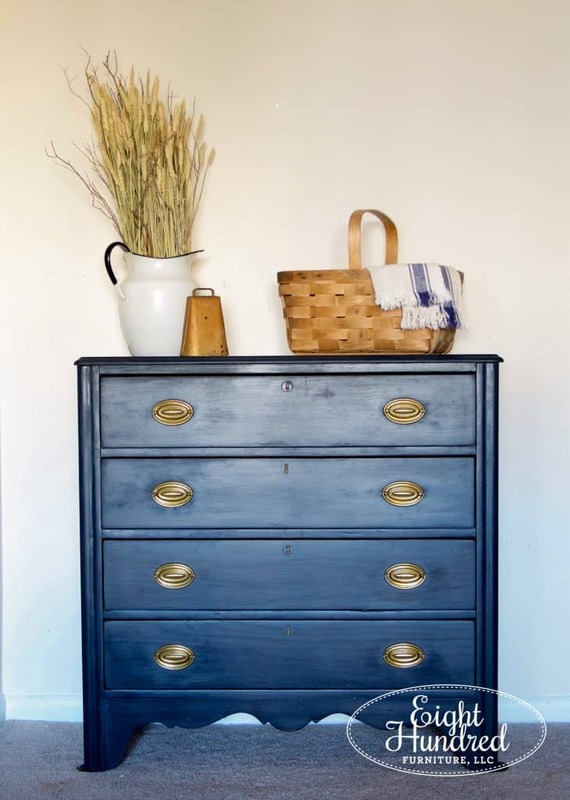 You can shop for the blues – and the other shades – in my booth downstairs at Morgantown Market. They’re open 10-5 everyday so swing by and stock up!